Forget what you have just seen! Azuki always hated her nickname, until one day a new boy starts in the same class as her called Yūnosuke Ogasawara. The same day he joins, she is teased by a boy called Ken-chan about her nickname. Yūnosuke-kun passes by and happily memorizes the name becoming the first girl he notices. Azuki is overjoyed, and instantly falls in love with him, loving both him and her nickname. However Azuki gets jealous when she sees him chatting to other girls and cannot work out why he doesn't realize her love. 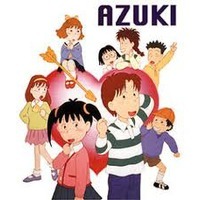 Azuki lives with her mother, Keiko, with her father, Tadashi, and with her little brother, Daizu in an apartment. 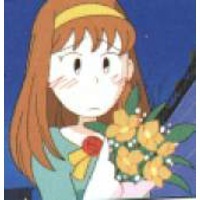 Azuki has three best friends, Kaoru Nishino, Midori Kodama and Tomomi Takahashi. Kaoru secretly crushes on Ken-chan but he never accepts her because Ken likes Azuki. Although in that situation Kaoru still thinks Azuki is her best friend. Kaoru has a blonde hair, and she's calm and sensitive so she often cries. 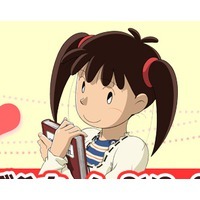 She lives with her mom, who owns a salon, near from Azuki's apartment. Midori Kodama is a tomboy and she hates her name just like Azuki was so her close friends call her "Jidama". She lives with her grandmother, but they seem to have a very close relationship except one episode when Jidama have gone out and snuck in Azuki's bedroom. She never crushes on anyone but in an episode she catches a thief entering her house and his face never go out of her mind. 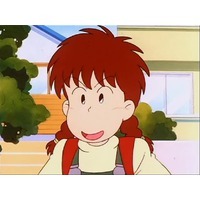 Tomomi, whom her friends called her "Tomoko" or "Tomo" is the class leader. She wears glasses and she has a bob, black hair. She really likes Makoto Sakaguchi, a close friend of Yunosuke who is very athletic. Makoto didn't notice her at first but at last he asks her to go on a date in his parents' hotel. Makoto, himself is a rich boy but he's not one of the spoiled brats. He is kind of sleepy and was intelligent "until 3rd grade". He's one of Yunosuke's best friends, and they really are close. Not only Azuki who crushes on Yunosuke, but apparently most girls in her class also have feelings about him. One of them is Yoko Sakakibara, a rich girl whose mom is a friend of Yunosuke's. So she thinks she will get him as her boyfriend and tries to separate him with Azuki. Rumors said that she is actually now in junior high but she didn't pass primary school. 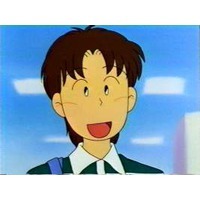 Ken "Ken-chan" Takayanagi is also best friend of Yunosuke. He's a childhood friend of Azuki so they meet a lot. Ken's parents own a noodle stall near Azuki's apartment that Azuki always order noodle from Ken's stall. 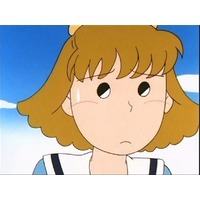 In the second season there was a new music teacher that the girl students are jealous of because of her kindness to the boy students, but they get over it in time. Azuki and Yunosuke also have their first kiss after he was bullied by the sixth-graders. The funny part is that Azuki and Yunosuke think that she will have a baby for that. Also, in one episode, a sixth-grader crushes on Azuki and follows her wherever she goes. When they were little, Azuki helped him find his ball. Finally, he stopped wanting Azuki's response and instead went out with Yoko. Daizu, Azuki's little brother, also get his own story. He has a girlfriend who unfortunately falls for Yunosuke but then gets back to him because realizing that Yunosuke is already with Azuki. Before her he fell in love with Yoko...but he completely forgets her. Azuki, Kaoru, Jidama and Tomo have made a club called "Club of Unreturned Love/ One-Sided Love"
Makoto's big sister, which it's hard to believe she's his sister, appeared in a few episodes.